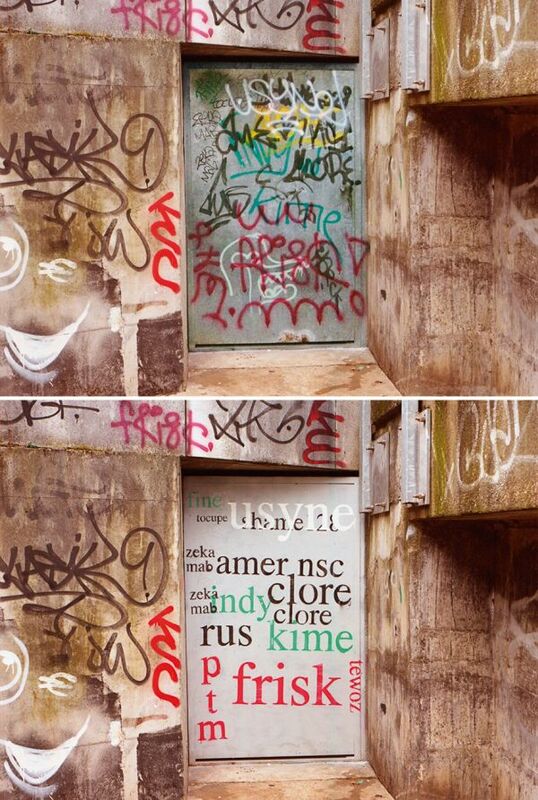 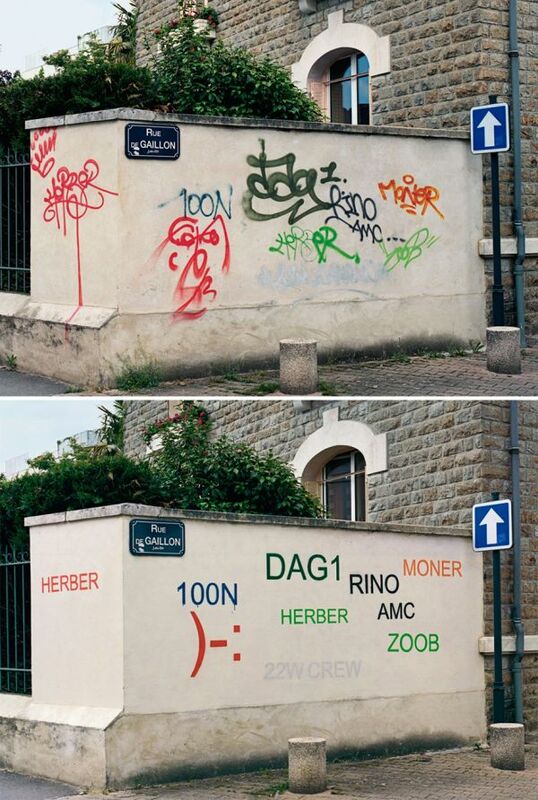 Mathieu Tremblin like most people isn't a fan of dirty graffiti so he decided to do something about it. 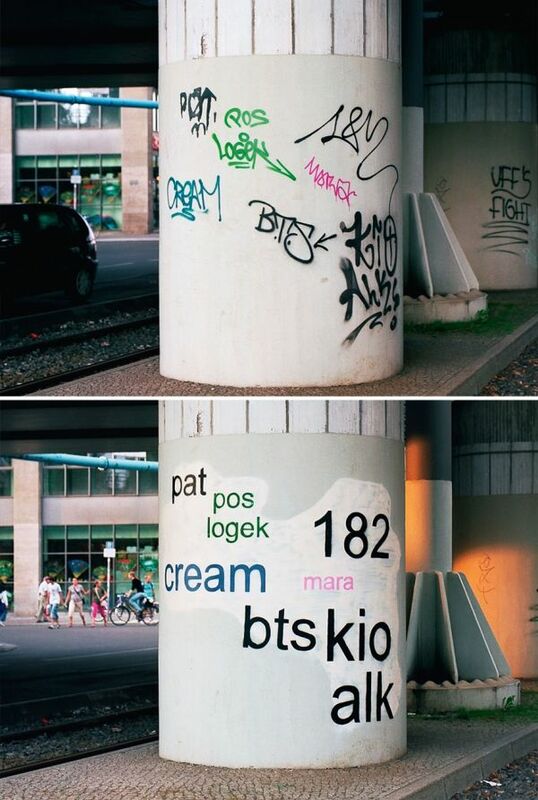 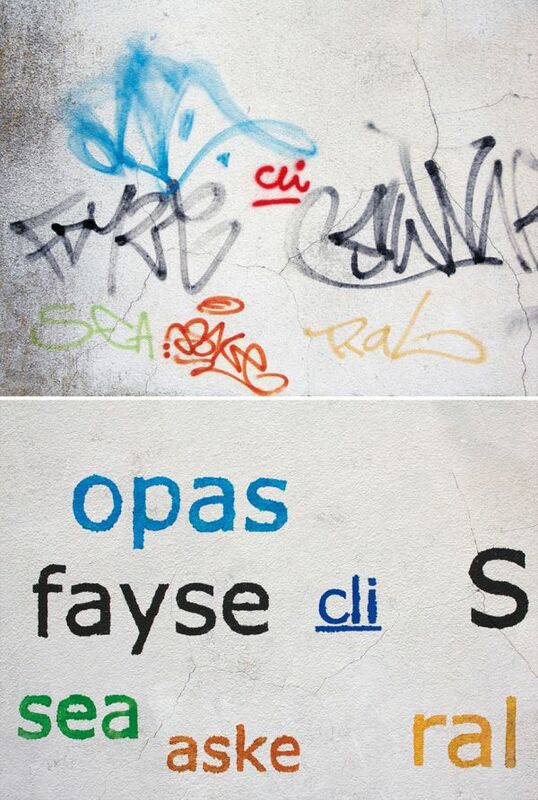 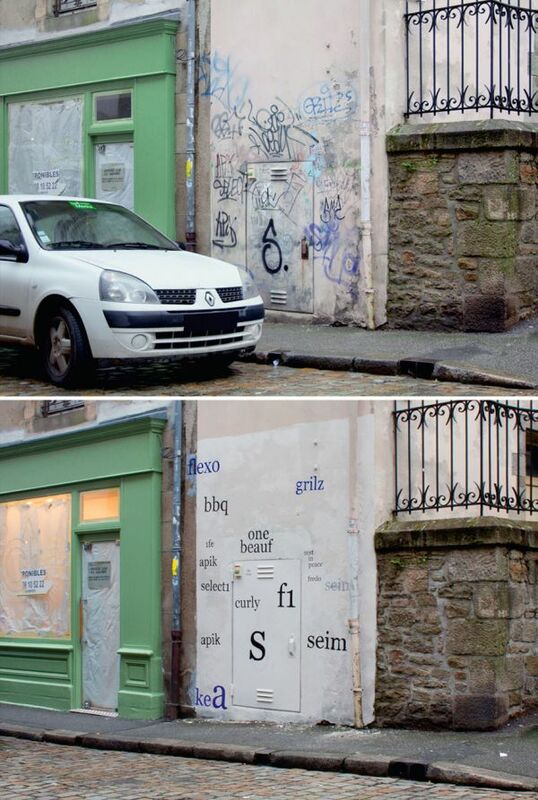 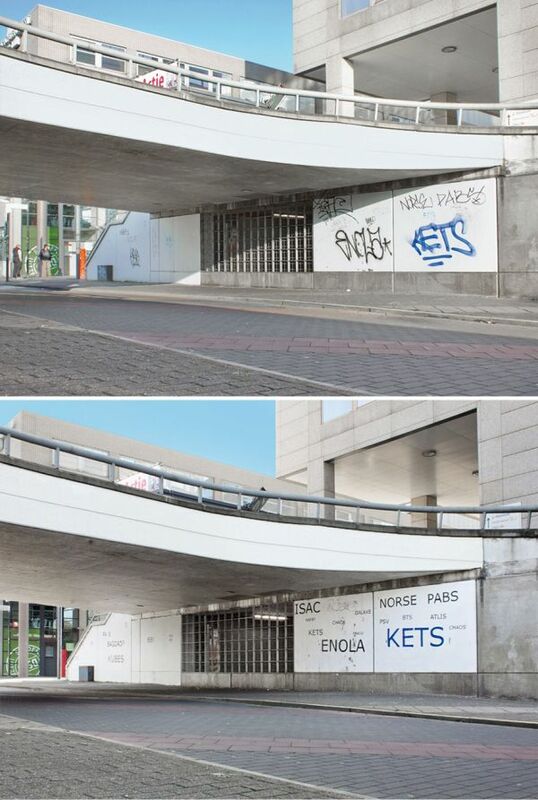 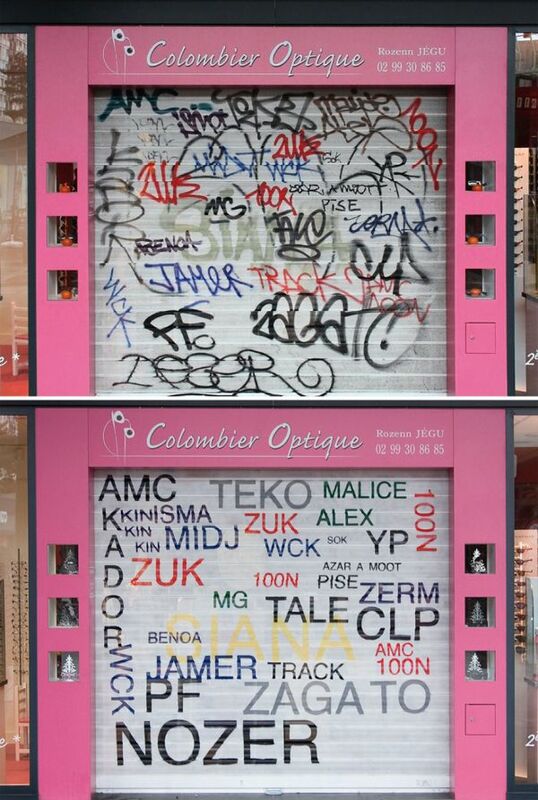 Mathieu took to his local streets and transformed the graffiti into something that's much nicer looking. 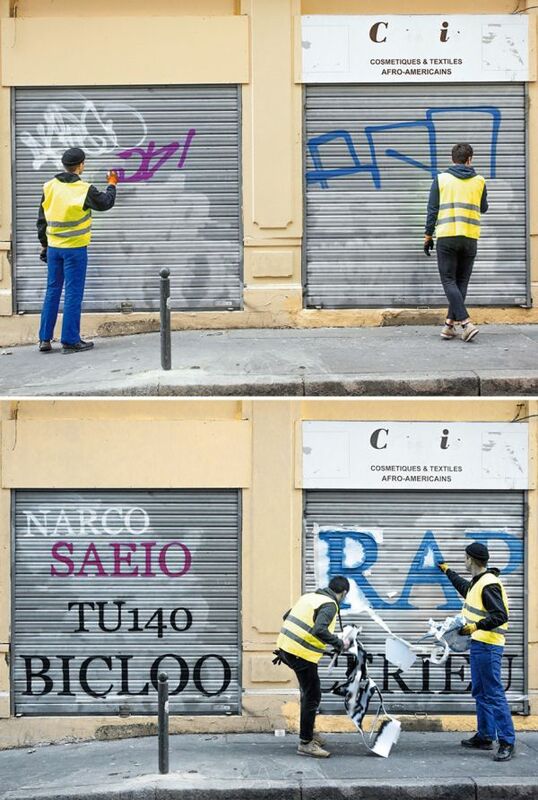 The fact he only sprays over a section of the wall rather than repaint or remove the previous graffiti leaves it looking no better than before once you get close.